Then, I remembered it was 1994 when we all chipped in to get a friend a modem for his birthday. I guess we over-estimated his computer prowess coz I was the one that ended up home with it at the end of the day. It was a 2400 baud modem and painfully slow. I didn't really knew how slow until I finally got my own 14400 baud modem and returning the 2400 one, a year later. It's been a year since I was with Blog-City and I thought this would be a good time to just take a breather and look around. Take a good look at the path behind that led me to where I am today and another look at the path ahead to where I will be heading. So let's take a trip down memory lane, a flash-back to the time when Michael Jackson was still black. It was after 2 years of going to my neighbours' place to drool over their Sinclair ZX80, Tandy Radio Shack TRS 80 and Commodore 64s, that I finally got my own computer. 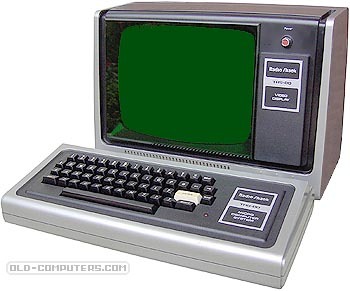 The Apple IIe. I guess it did take a while before I started exploring what this thing can do, other then provide hours of gaming entertainment. I started learning BASIC while my cousin used it to do his journal on his favourite club, Liverpool. (Anybody remembered the word processor, Magic Windows? This was way before Word Star and Word Perfect) I guess I took to the idea and starting doing mine on ManUtd on the 40-column screen. And that marked the birth of my football blog, on ASCII text. I have to admit the writing was pretty kiddie-ish. I mean after all, I was only like what? 12? 13 years old? Oh yes, I cussed a lot less back then. Putting it on file wasn't satisfying enough for me and we didn't have a modem, let alone the internet to share our stuff with other people. I did it via hardcopy on my trusty Epson MX-80 dot matrix printer. I was using Newroom software to do it. I had fun but it was damn leceh as I find myself constantly inter-changing the six 5¼" floppies repeatedly. The first issue went out and I had a proud circulation of 6. Unfortunately, the publication lasted 2 issues before I got bored with it. My interest in computers took a nosedive when I tried to join the school's computer club but was rejected (not geeky enough). While I lost something there, I gain something elsewhere. I discovered girls. 1992 marked the year when I finished my Army Daze and started my University life in NTU. As with all freshmen, we were assigned a computer account for access to the campus VAX/VMS network. That's when we all went crazy with the chats, IRC and emails. Over time, I started to built a circle of friends in the cyber realm, which later ended up on my mailing list. Thus marked the birth of my first cyber audience. I was shuttling my stuff on a diskette between the campus VAX/VMS and the BBSes porting my stuff back and forth. It was tedious work, but I enjoyed it. I was a junkie for an audience. On the days, I have nothing to write about, I would get on to good buddy Ed's Voyager BBS and seek out funny stuff on Fido-Net and then shared with my mailing list of friends back in school. I slackened off during the exams, only to be greeted with a barage of emails chiding me for being lazy in providing their regular fix. I cried (figuratively, of course) when I first read the nasty emails. They were tears of joy. I don't really know how many people I reached via the BBSes but I do know that my mailing list circulation was 31 when I graduated. For Malaysia Cup reasons (another story, another time), I was booted out of my Hall. My 500+ ECA points couldn't help me erase that bad mark in my student dossier. I was banished forever. As I spent more time at home then in school, visits to the Computer Lab started to dwindle as I find myself more at my own home PC then at the school's. Back then Singnet and Pacific Internet (formerly known as TechNet) were the among the first to offer internet access to the general public and I jumped onto the prior soon after it was launched. 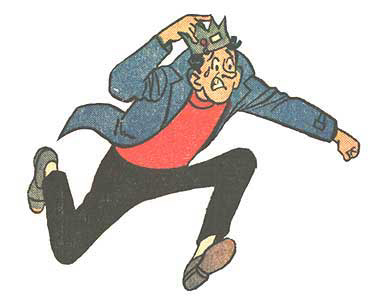 Before that, we were using Lynx instead of Netscape, IE, or Firefox for browsing and Gopher, Archie, Veronica and subsequently Jughead for searching instead of Google or Yahoo. My first graphic-based browser was Mosaic and that was when the WWW became fully opened to me. I was truly fascinated with the websites that other people were designing and even more excited to discover that anyone can do his/her own website and easily, if I may add. I taught myself basic html by studying other people's page source. 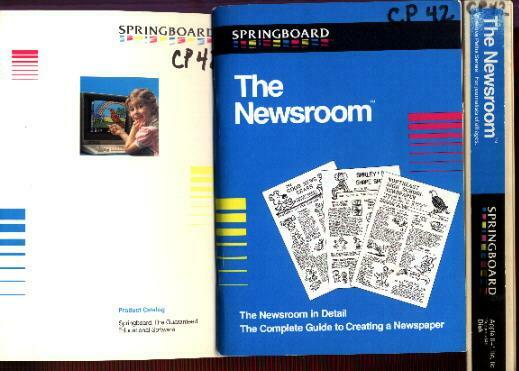 Back then, coding were doing on the trusty Notepad. 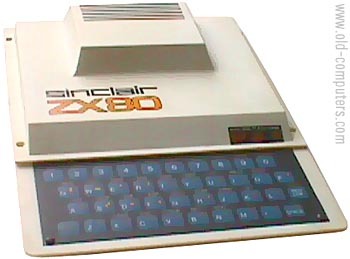 We didn't have Wordpad then! Every html code was painstakingly keyed in one at a time. It was even before Hotmetal, Hotdog and Netscape Composer that later offered WYSIWYG html editing. It took me 2 weeks to get my first ever website out. My lectures, tutorials and readings were backlogged as a result, but I really didn't care very much about them to begin with anyway. The website was primitive at best as it contained just a short profile of myself, a short piece of musing and my resume. Then came one Sunday morning when I was rudely awoken by a phone call. Still pretty dazed from the previous night's partying, I found myself talking to a stranger for about 10 minutes before realising that I don't know who the other party was. As it turned out, her name was Pauline and she got my phone number off my resume. My first cyber-stalker! We remained good friends until today. The resume-on-the-web did work for me as I was offered a couple of jobs, even before my final exams started. Man, I can't tell you how big my head (and my ego) swelled. Unfortunately, my "career" as a "Tech Reviewer" came to an abrupt end when I wrote a very unflattering preview piece about a certain model of PDA, that was due to be launched the next month. I was handed a poison chalice for the product in my personal opinion, really "cannot make it". I refused to back down from my stand but the manufacturer, being a sponsor of the website, bullied the editors into submission and my article was trashed. The PDA went on and had a great Christmas sale. Since that article, I was no longer invited to give anymore reviews as I was now marked as a person who is not a "team player". While it was not directly and clearly communicated so, it really didn't take a rocket scientist to figure that one out. Year 2001 was when I started working in Ch1na. It was also the same year that I discovered Blogger. It was such a beautiful tool that makes writing journals so much easier with a nice looking page design to boot. I signed up so that I can jot down my memories and experience in Ch1na (and eventually publish my memoirs?) but alas, the first two years was so hectic getting into the pace of work and at the same time adjusting to life in a foreign place. Consistent blogging was really a challenge. What many don't know is that the web is heavily censored by the Stoopid Garment. While I can understand the political sensitivity of foreign news sites like BBC, ABC, CBS, NBC and CNN (most of it are already unblocked at the present day), I was especially exasperated by ordinary harmless sites making its way into the black list. Hello? Did anyone actually go see the website before passing judgement? Hello? Hello? For some stoopid unknown reason, Blogger got sucked into the blacklist shortly after. While I was lucky that I didn't have much to lose, migration to Blogspot was easy though albeit with a sour after-taste. When it rains, it pours, as Blogspot too got blocked shortly after Blogger. SI BEH DOO LAN!! Was never a computer geek, and still is technologically-challenged, but I remembered with fondness dialing into BBSes, playing the jpg game LORD (Legend of the Red Dragon) and being worshipped as the Sysop's sister when my brother went for National Service and I had full destructive reign on his BBS. THat was like ten years back.